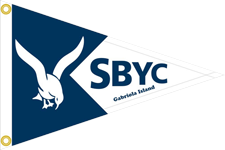 The Silva Bay Yacht Club (SBYC) is a boating club with the goals of promoting safe boating and good fellowship among our members and the greater boating community of British Columbia and provides a venue for marine related activities. It all started around 1977 when a group of boat owners on Gabriola Island got together for a “Once Around the Flat Tops” race. It was so much fun they decided to form a yacht club. From the 50 initial charter members the club has grown to its present-day membership of 110 +/-. There are many events throughout the year, ashore and afloat, with emphasis on safety and fun. Expand your horizons and learn from others while out on the water. The Club has a large number of very experienced and qualified mariners who are willing to share their knowledge. to provide a medium for the exchange of boating information and to do all other things which will further interest in boating generally. This website is a portal for existing and potential members to view our activities and planned cruises; our past events; our reciprocal moorages with other yacht clubs and many links to help plan the perfect cruise.